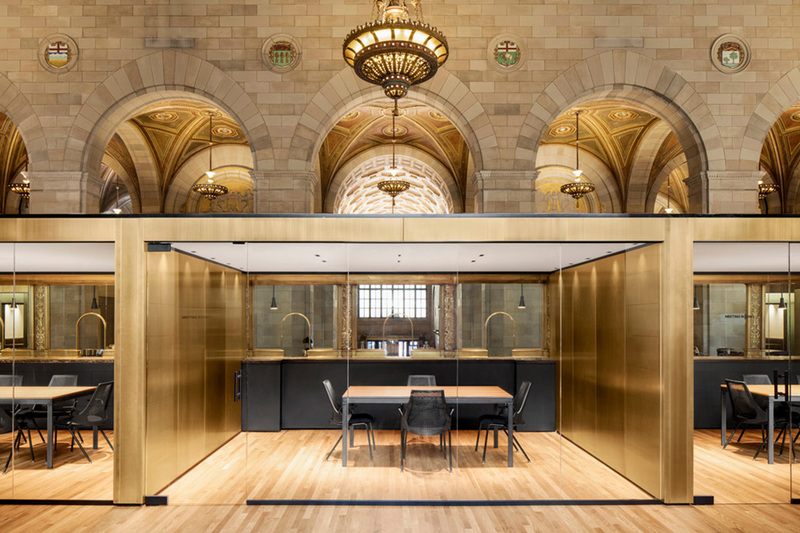 A café, a large co-working space and a company headquarters for a young startup. Nothing new in this combination, not even in the fact that this is all located in a re-purposed building. 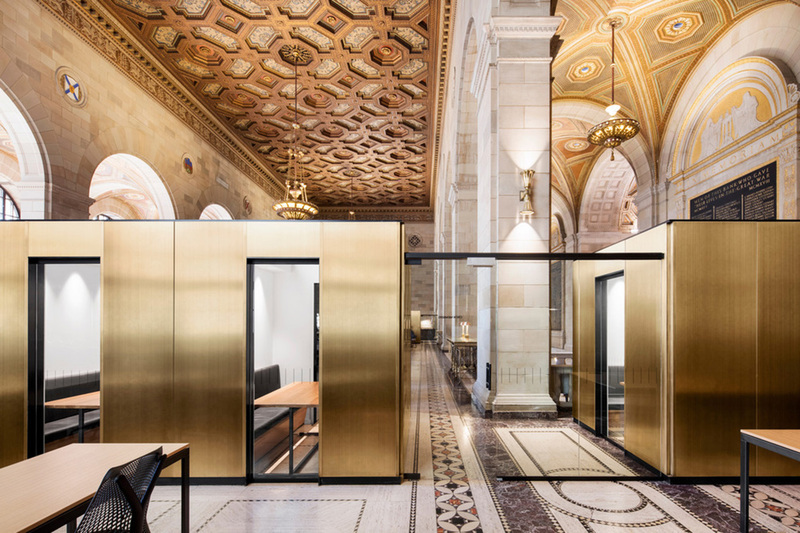 What does make the Crew Collective new set up so appealing is the building itself. 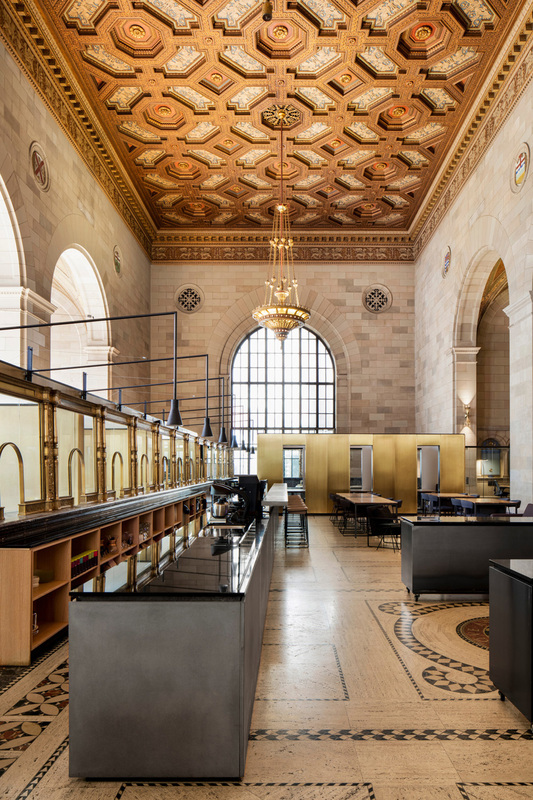 It is the 1920s headquarters of the Royal Bank of Canada, on 360 rue St-Jacques, in Montréal, Québec, Canada. 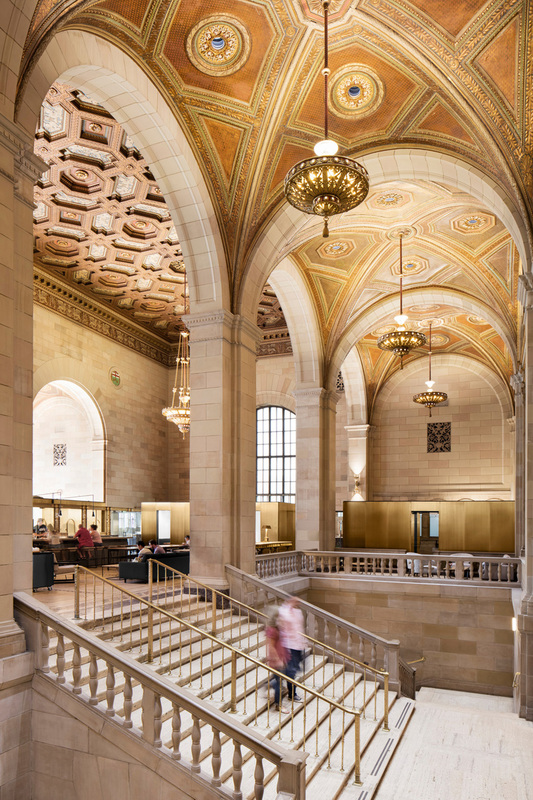 This street-level floor of the RBC Tower Building, once the tallest building in the British Empire, is not just some bank branch, this is major edifice of financial prowess, a cathedral-like monument to money that was the custom way back then. 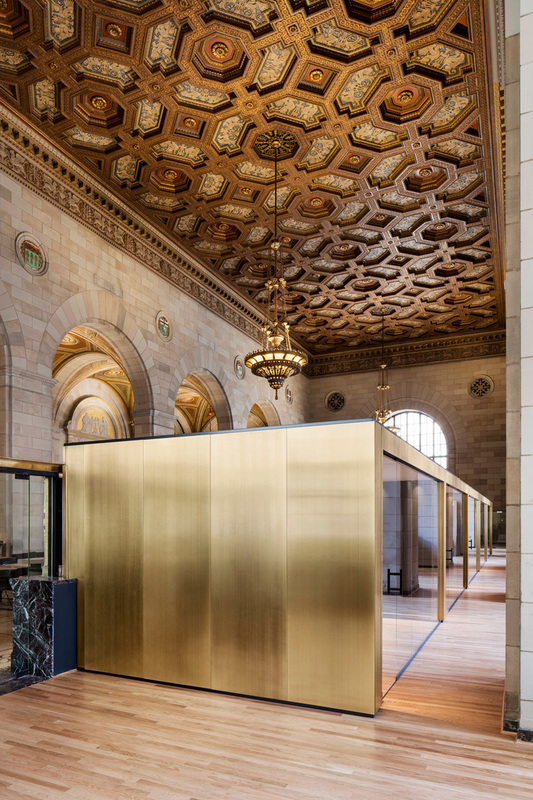 The bank tellers sat behind ornate glass in wooden pens under 50-foot vaulted, ornately painted ceilings dripping with chandeliers that shone their light on marble floors, intricate tiling and brass details. Indeed, they did. 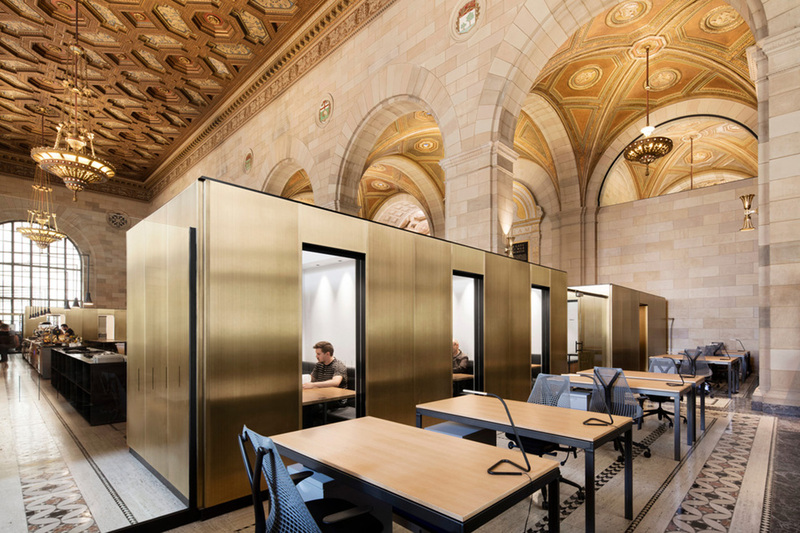 A haven for freelancers and telecommuters, Crew’s new space offers members their own dedicated desk and others a desk-for-rent as available, plus many other services. 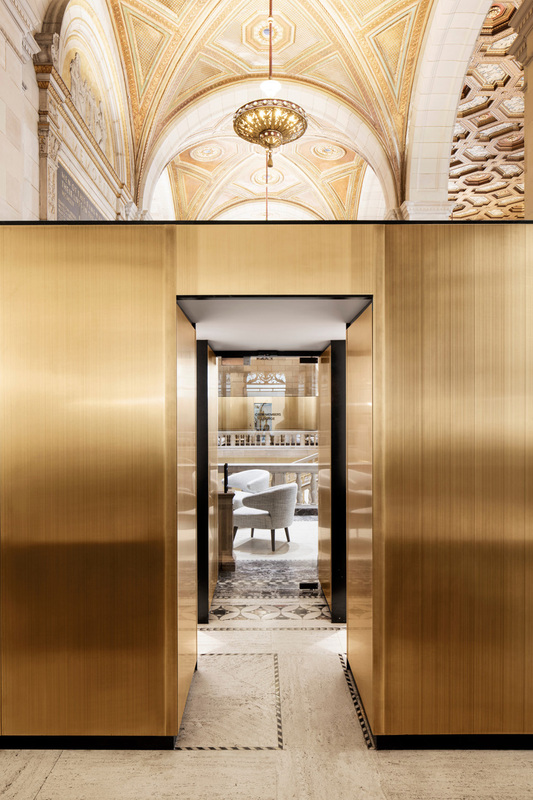 Montreal-based architect, Henri Cleinge with team members Henri Cleinge and Paulette Taillefer completed this delicate yet massive ( 12,000 square feet or 1,115 square meters) project this spring and the space has been busy ever since. 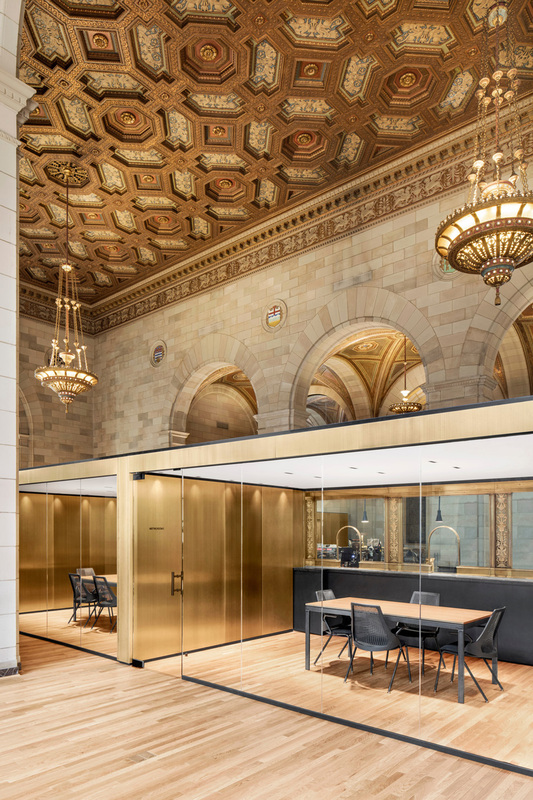 We love re-purposed buildings of any kind, but this is a particularly courageous and grand example of what can be done when the will – and the money – is there. – Tuija Seipell.